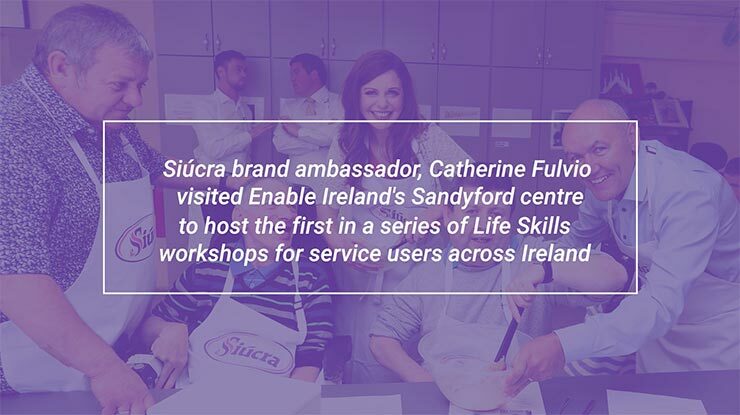 We were delighted to visit Enable Ireland in Sandyford, Dublin recently to officially announce our partnership with the charity and to launch our series of integrated Life Skills workshops. Service users spent the morning taking part in a cupcake making and decorating workshop which was led by Siúcra ambassador, celebrity chef Catherine Fulvio. It was a fantastic morning and we are looking forward to hosting our next Life Skills Workshop. Here is a glimpse into our magical morning!